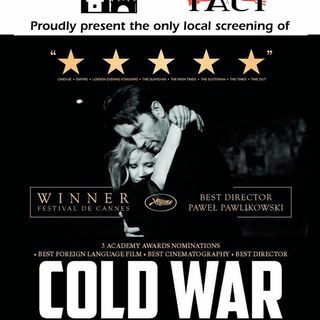 Tom Pruss is in to talk about the Polish Movie "Cold War"
"Cold War" is a near-perfect film, an artfully crafted, flawlessly acted meditation on love, memory and invented history that?s both deeply personal and politically attuned. Pawel Pawlikowski's Cold War is one of those love-among-the-ruins romances built for maximum seduction. The end of the film, like so much that precedes it, is exquisite beyond words.